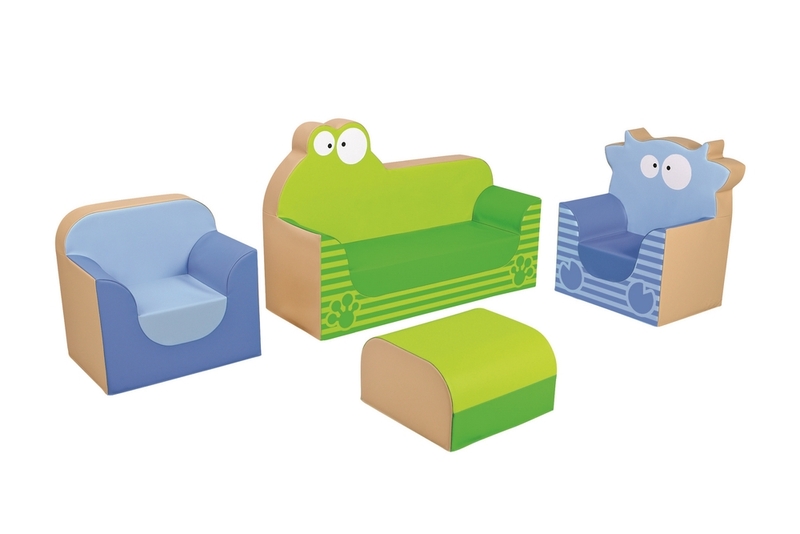 The Cow and Frog Lounge Club Kids Armchair Kit By Wesco is made from high density foam interior, it's a fun and stylish kids waiting room furniture collection, perfect for doctor's office, car dealership or any waiting areas that frequented by children. The manufacturer Wesco is the world's number one manufacturer of soft play and active play products and has been a valuable partner for daycares, schools and pre-school institutions from the outset. 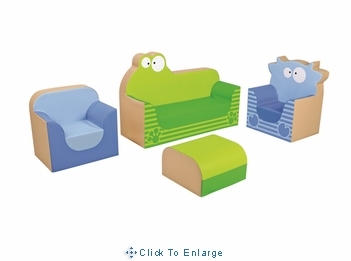 Consists of: 1 Club Frog bench, 1 Club Cow armchair, 1 Club armchair and 1 Club pouffe. Shipping: This item will ship from Champlain, NY via FedEx ( large items are shipped via truck) within 3-4 weeks, depending on where you ship to, please add another 2-6 business days for delivery . If you need express shipping service, please contact us for a shipping quote. Return: Please Click Here to view our return policy .